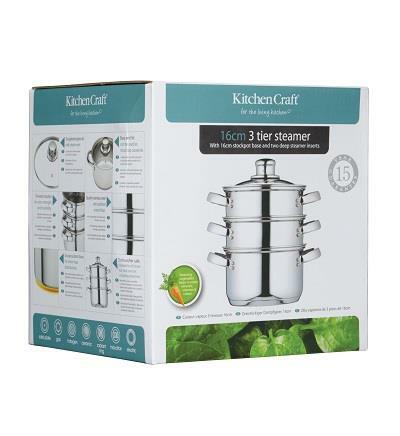 The Kitchen Craft Three Tier Stacking Steamer is available in four different sizes. 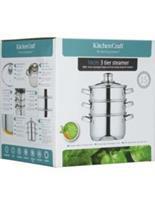 This beautifully designed, essential cooking item promotes a healthy diet and lifestyle, helping to retain vitamins, minerals and flavour that is often lost when boiling. 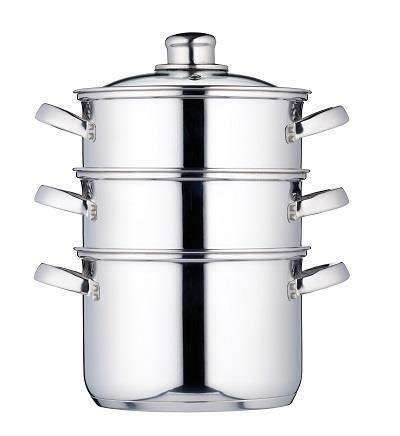 The integral Three Tier system allows for complete flexibility when cooking different foods. Three different foods can be cooked at the same time, or simply start with one tier and add the others for phasing different cooking times. 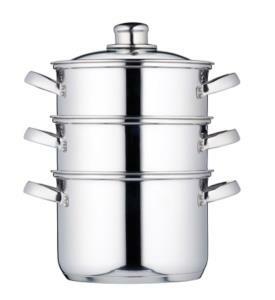 Features a vented glass lid and side handles.